Without having any clue as to how a court would react to this, I’ll just offer my opinion on the differences between the two lock screens. 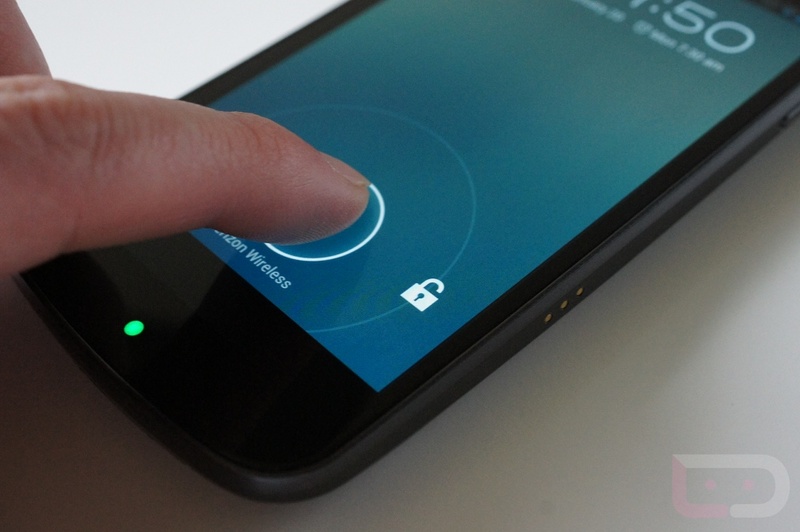 First, Android’s is not a “slide-to-unlock” lock screen. I would argue that Google expected a move like this from Apple, which is why starting with Honeycomb, we saw the introduction of the globe that can be moved to unlock the device. It is no longer a slide. Apple’s lock screen is true a “slide-to-unlock” gesture, as it is a bar that moves from left to right to unlock. Android’s – at least in 3.0+ – no longer acts this way. Upon touching the lock globe, you can move it in a complete 360 (up, down, left, right or at angles) before deciding whether or not you want to unlock or jump into the camera. While some may gawk at that as being a difference maker, just remember that these are patents and the broken system they make up we are talking about. The tiny details like this are what can make the difference in winning or losing one of these cases.